Be sure to stay safe this Christmas by applying your health and safety knowledge around the home. Most health and safety is just common sense but sometimes accidents happen where you least expect them to. Follow our tips and tricks below to have a happy and healthy Christmas holiday! Keep the stairs clutter free and well lit. Also be careful when going up or down the stairs if you’ve had a drink! Take care when opening presents and assembling them. Don’t rush and make sure to use the appropriate tools for the job, such as screwdrivers for inserting batteries to toys rather than what ever is available. Clear away wrapping paper so no one trips and remember to recycle! Be careful when decorating the top branches of a tree. Don’t over stretch as you may hurt yourself or knock something over. Use a stool if you need to. Around 1000 people a year are injured by their tree, usually when fixing lights or a star to the higher branches. Check your Christmas tree lights and test them before you put them up. Faulty lights can cause electric shocks or burns and small children can swallow the loose bulbs. If you have old lights consider buying new ones that conform to stricter safety standards and don’t overload sockets. Make sure to thoroughly cook your food but in particular your turkey. It takes hours to cook a turkey properly and if you aren’t used to cooking them read the instructions well before you begin. Under cooked turkey can cause salmonella poisoning which can be life-threatening. 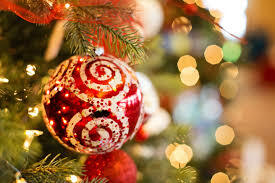 Make sure all decorations are out of reach of small children, in particular glass ornaments or baubles. Some Christmas plants can be dangerous. For example Mistletoe is poisonous when ingested as its berries contain toxic proteins that slow the heart rate and can cause hallucinations. Check that all Christmas plants are safe and keep them out of reach of children. The kitchen can become a busy dangerous place at Christmas when your rushing around trying to do everything. Try to keep people out of the kitchen and wipe up any spills. Be wary of hot fat, boiling water and sharp knives. Take your time, people can wait a bit longer while you safely prepare the meal. Never leave an open flame unattended and don’t place candles near christmas trees. Also make sure to place them in an appropriate container. Most of all have fun and spend time with friends and family! If you want to learn more about health and safety and how to apply it around the home or in the workplace why not consider taking our Level 2 Health and Safety course!